SPONSORED STORY - You’re never too old to learn new skills and with a growing number of Government-funded courses available in 2019, many older Australians are taking the opportunity to learn something they’ve always wanted to, but never had the time or confidence to follow through with. Courses in a wide range of subjects, such as horticulture, plumbing and disability support, give seniors the opportunity to brush up on skills needed in their current job or help them to secure a new position. Taking the plunge into training in later life is a trend that Olivia Blazevic from Training.com.au has noticed. “A career change later in life is often motivated by emotion and something a person always wanted to do but never had the opportunity,” Ms Blazevic says. While going back to school can be daunting, for many it’s an exciting prospect to find themselves learning something new. In 2017, people over 65 made up over 15 percent of Australia’s population, and only 12.5 percent of the workforce. Beyond work, seniors account for a large proportion of the population who care for the elderly and volunteer; something they are unable to do if they have no income. 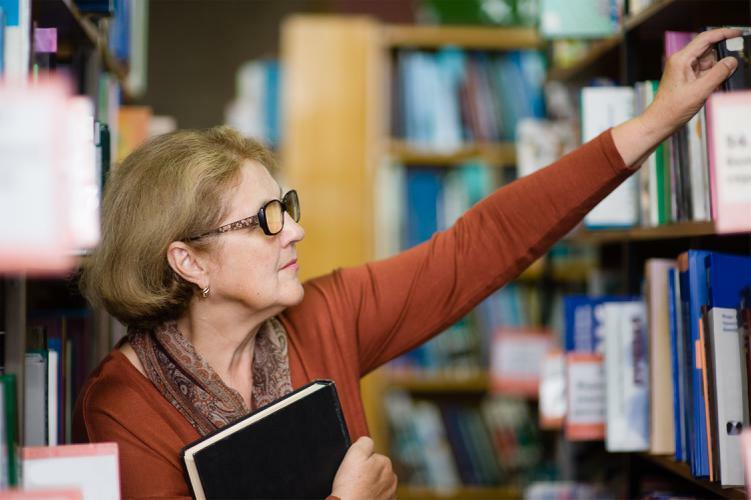 Upskilling through courses can help seniors appeal to potential employers or explore new opportunities on their current industry. What are the most popular upskilling courses for seniors? Statistics from Training.com.au show that out of 105 calls from January to June in 2018, seniors were looking for Government-funded courses in people-focussed careers such as teacher aides and allied health management. Seniors also showed interest in learning more about aged care and developing their basic nursing and community service skills. A Certificate III in Education Support: a great route into education, especially for those looking to work as a teacher’s aide. A Certificate III in Allied Health: helps direct or redirect a career into the healthcare industry, learning the most up-to-date methodology. Certificate IV in Ageing Support: taps into a growing market and enables students to learn the latest in treatment and support for the elderly. Certificate IV in Mental Health: Completing this certificate allows students to enter into the mental health field as a support worker, intake officer or outreach worker. A Government-funded course is one that has been selected by the Australian Government for an education and training grant. There are specific requirements in place to secure Government funding for upskilling which includes discounts, loans and more flexible payment terms. Government-funded courses can be studied online, in-class, full or part-time and are widely available across Australia. You can find a wide range of Government-funded courses through Training.com.au and take the first step to a new career.